Talking on the red carpet at the Women in Film and TV (WFTV) awards, she said: “Things have changed a lot in that things are being talked about that weren’t talked about before, but we’re still not at a level playing field. “So one of the people who is presenting today is Carrie Gracie, and she is so brave, the former BBC China editor, and the 200 women journalists who stood up and said, ‘this is not fair’. Ms Gracie resigned from her role in January in protest at inequalities at the BBC, accusing the corporation of having a “secretive and illegal pay culture”. 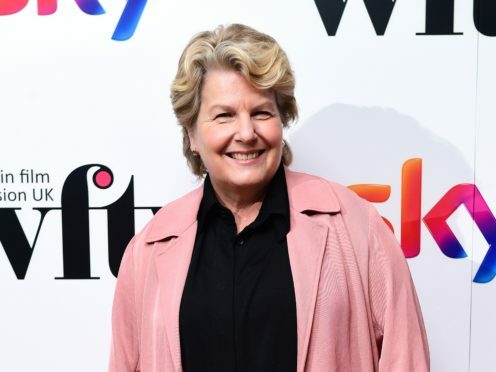 Great British Bake Off presenter Toksvig, 60, was being honoured with the WFTV presenter award during the awards ceremony in London. British actress Juliet Stevenson was also being honoured with a lifetime achievement award and said she had worked all her life “shifting the images of women on stage and screen, shifting them away from cliche”. Asked whether she felt comfortable being seen as a role model for young women in the creative industries, Toksvig replied: “I hope, if in some small way, young women can look at me … I’m 60 and a grandmother, and go, ‘That’s fine. You just carry on having a career’.